Jonathan Stewart is an NFL running back for the New York Giants. As a highly sought after top prospect and one of the highest rated offensive players in the country, he was selected by the Panthers in the first round (13th overall) of the 2008 NFL Draft. That season Stewart helped lead his team to a 12-4 record, making it to the divisional playoffs. During his 2009 NFL Season, Stewart set a team record rushing 206 yards in a 41-9 win over the Giants, and earned FedEx Ground Player of the week honors. Stewart finished the season with 1,133 yards and 10 touchdowns on 221 carries. Those statistics made Stewart and fellow running back Deangelo Williams the first rushing duo in NFL history to rush for 1,100 yards apiece. The pair held the nickname “Double Trouble” in honor of their accomplishments. Still the starter for the Carolina Panthers, Stewart has been making headlines for his unstoppable play. In 2014 he was considered one of the NFL’s more elusive rushers, finishing the season having forced 56 missed tackles combined as a rusher and receiver. During week 4 of the 2015-16 season, when the Panthers defeated the Tampa Bay Buccaneers, Stewart reached 5,000 career rushing yards. Stewart maintains his position as a household name in the sports world and beyond. Now a legend at his alma mater The University of Oregon, analyst consider his one of the fastest and strongest players in the school’s history. With a passion for giving back to the community, Stewart holds football camps in his hometown of Lacey, Washington every year, and also leads workshops in Charlotte, NC. He is strong in his Christian faith and is active in his church community as well. Off the field, Stewart’s other love is music. He connects with his fans on his website by sharing the music he produces. 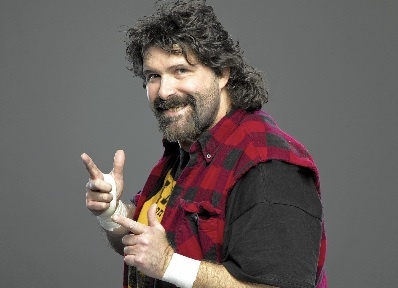 An absolute fan favorite, Mick Foley is known for his many faces: the unpredictable Cactus Jack, the demented hippy Dude Love, and maybe the best known Mankind. Inspired to become a superstar after watching Jimmy Snuka leap from the top of a steel cage in Madison Square Garden, Foley adopted Superfly’s fearlessness when he entered the ring himself. He started training under Dominic DeNucci and driving back and forth from school in New York to Freedom, PA. After years on the independent circuit, Foley became a pro. Foley was known not for just winning matches, but for surviving them. In one of the most infamous WCW matches in wrestling history, Foley lost two thirds of his ear in his match against Big Van Vader while being caught between the ropes and had to had to have surgery. In Japan, he suffered third degree burns in an exploding ring and in a “Hell in a Cell” match against The Undertaker he was knocked unconscious after he was thrown off the top of the cell, and finished the match with his front tooth lodged into his nose. As an author, Foley’s first book “Have a Nice Day: A Tale of Blood and Sweatsocks” topped the New York Times bestseller list for 26 weeks. His second book “Foley is Good” would follow, also hitting #1 on the NYT list. In total Foley has published ten books, two novels, four autobiographies, and four children’s books. Because of his notable memoirs, Foley began speaking at Universities around the U.S. and ultimately decided to take his verbal skills to the next level by joining the comedy stage in 2009. In 2003 Foley was inducted into the WWE Hall of Fame at Madison Square Garden, the same arena where he was inspired by Snuka so many years prior. Currently Foley is touring with his comedy show, making appearances, and working with the WWE as a commissioner, color commentator, and occasional competitor. Eric “Sleepy” Floyd is among the most famous and well-known professional basketball players in the world. 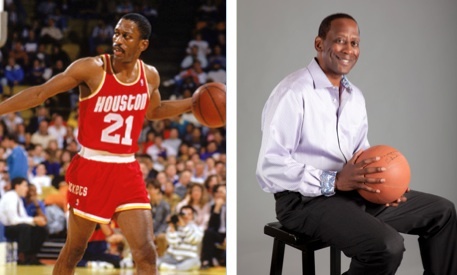 His professional career spanned from 1982-1995 in the NBA. Prior to entering the NBA, Sleepy Floyd was deemed among the greatest players in collegiate history at Georgetown University and is known as the most prolific scorer in Georgetown University’s basketball history. Sleepy then went on to become one of the NBA’s biggest stars in the 1980s and 1990s. Floyd was well known for his high scoring averages per game in the NBA. He still holds the NBA playoff record for points scored in a quarter (29) and in half (39), in game 4 of 1987 Western Conference Semifinals against the Los Angeles Lakers. Midway through his first season with the Nets, Floyd was traded to the Golden State Warriors where he averaged 16.5 points per game in his first season in the NBA. Sleepy went on to achieve a career high of 19.5 points per game in his 1984-85 NBA season. In 1987 he averaged 18.8 points and 10.3 assists and earned a spot on the NBA All-Star Team. Floyd left the Warriors in December 1987 when he was traded to the Houston Rockets where he would then play for the following 5 ½ seasons. On May 10th, 1987 Floyd made NBA history in one of the greatest single playoff performances ever seen. Floyd scored 29 points in the fourth quarter and 51 for the game as the Warriors won their only game of the series 129-121. His 39 points that he scored in a half in that game remain an NBA playoff record. Near the end of his professional basketball career, in 1993 he signed on as a free agent with the San Antonio Spurs before returning to the New Jersey Nets in 1994. Sleepy Floyd retired from the NBA in 1995 with 12,260 career points and 5,175 career assists. At 47, Floyd was the youngest basketball alumnus in the Georgetown Athletic Hall of Fame, having been enshrined in 2002. Since his retirement from the NBA, Sleepy Floyd has coached Pro Leagues and in 2007 was named to the National Association of Basketball Coaches 2007 Silver Anniversary All-America Team. Today, Sleepy does sports promotions and makes celebrity appearances at events on behalf of the NBA and others, such as HP’s launch of its Windows 7 product. Highlights: Commentator for ESPNU and FOX Sports, President of the NFLPA Retired Players Charlotte Chapter, NFL Coaching Internship (Charlotte 2009), “Hardball with Chris Matthews” MSNBC (2008), Corporate Spokesperson for Nike Athletic Wear (San Francisco, 1996), Senior VP and Private Client Advisor with U.S. Trust. 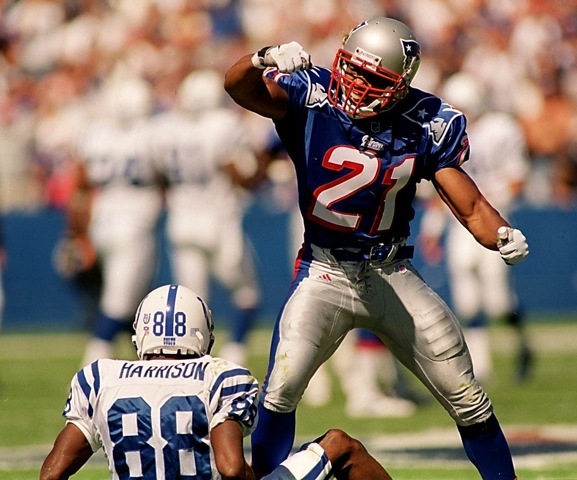 Steven Israel is an NFL legend whose career included playing for four NFL teams over ten years from 1992 to 2002. After his stellar career in the NFL, Israel went to become an analyst for ESPNU and FOX Sports. He also had a nine-year run as the host of “Breaking It Down,” a television program focusing on the Carolina Panthers, on New 14 Carolina. Israel has been the keynote speaker at dozens of events across the country on topics including teamwork, communication, and perseverance, following the 5 Dysfunctions of a Team. He continues to be a regular NFL Chapel speaker, and in 1996 served as the Corporate Spokesperson for Nike Athletic Wear at the Grand Opening of Nike Town in San Francisco, CA. After playing football for a decade, Israel earned a Business Management and Entrepreneurial Program Certificate from both Harvard Business School and the Stanford Graduate School of Business. Steven is currently the Senior VP and Private Client Advisor with U.S. Trust.